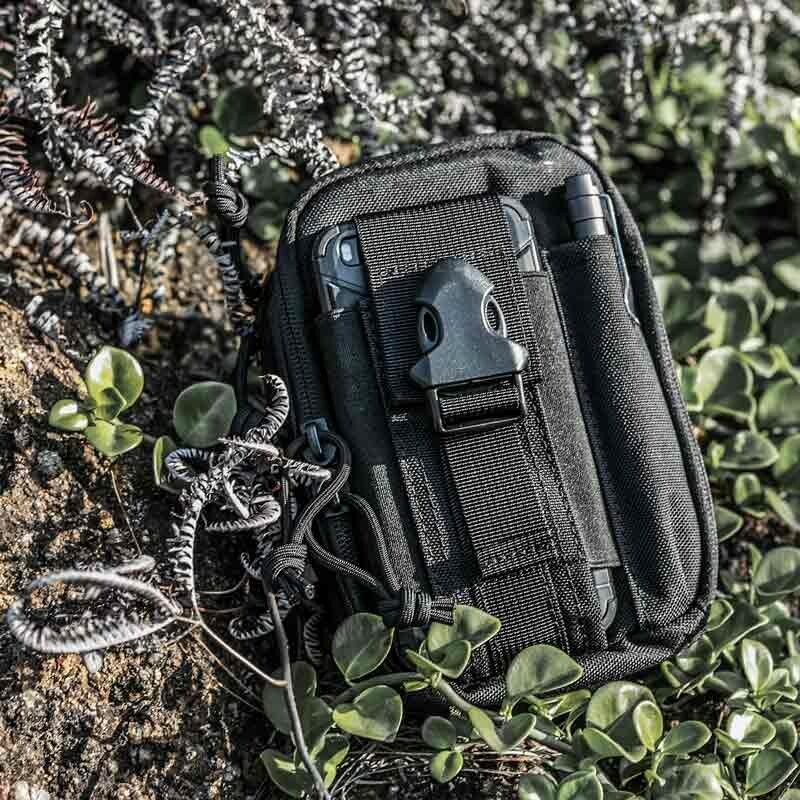 OneTigris STEEL SPARROW EDC Pouch You know how EDC pouches work but this one is like no other. This one is mega tactical. Mega tactical how? 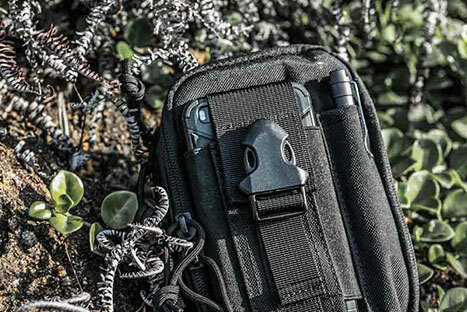 Besides the BASIC rugged Nylon construction, MOLLE system, phone pouch and pen sheath, it carries TWICE as much gear, with a jumbo main compartment that can hold all your EDC and more, plus a zippered clamshell design to offer easy access to whatever you need inside. 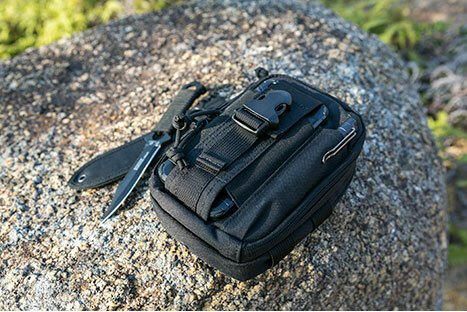 It carries in bulk and is highly functional, perfect for every day carry. 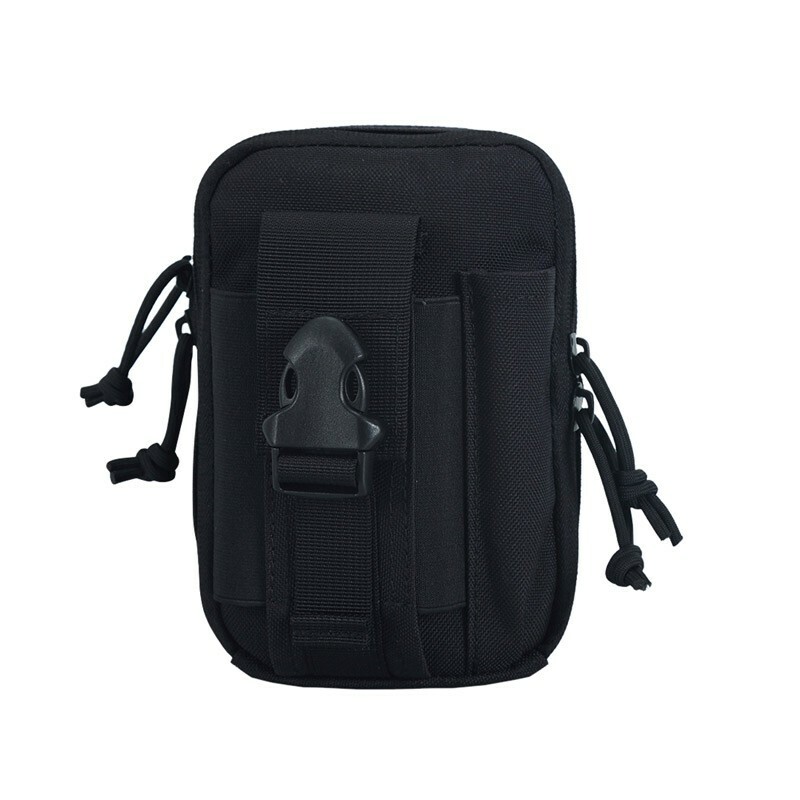 MOLLE webbing & straps for attaching to tactical gear, belt, vest, etc. 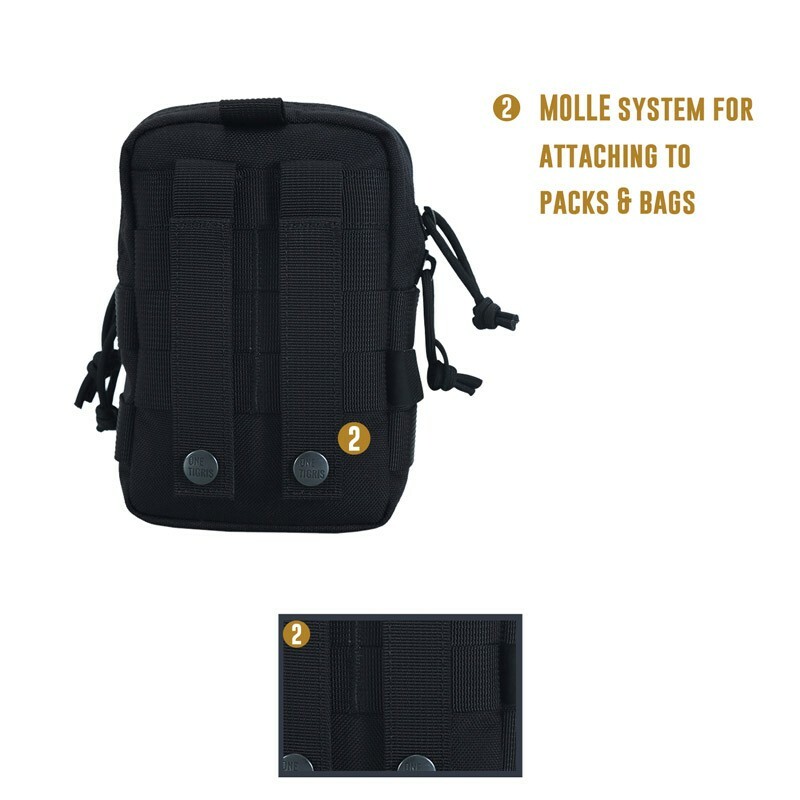 I got this to attach to my tactical Molle tablet/IPad Pro12.9 bag, which I attached a OneTigris water bottle holder on one side and the pouch on the other. 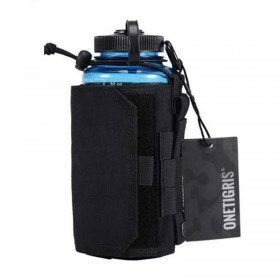 With the water bottle attached to one side it felt lopsided so I ordered this pouch to put on the other side to balance it out out which it did perfectly. Just so happens that my Glock 27 fits perfectly in the pocket. And still have room for other sundry items, pens, phone,wallet etc. 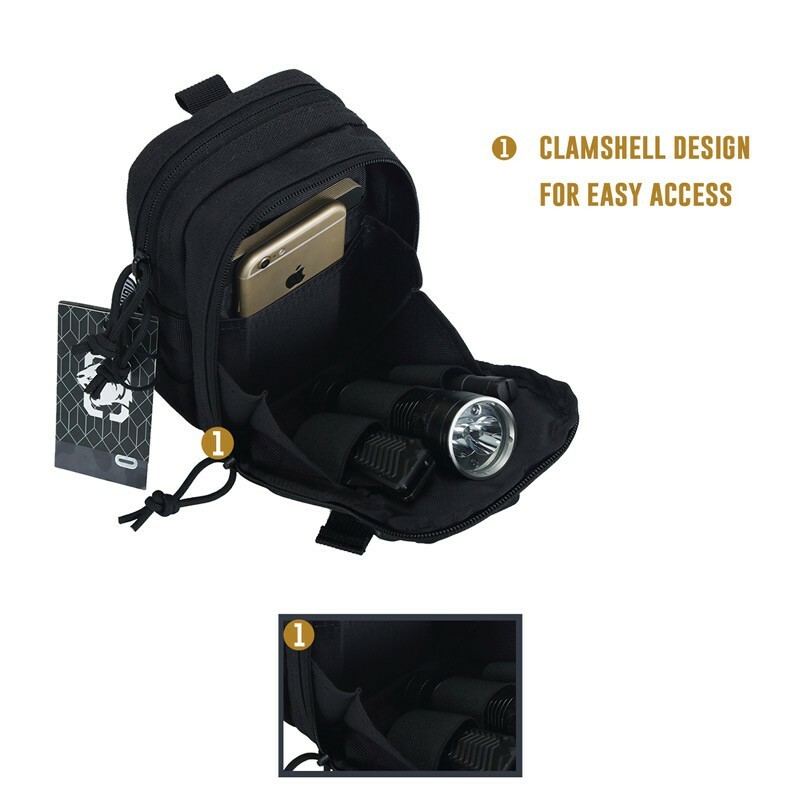 it fits very very secure on my bag and also has a carabiner on top which I put through the shoulder strap D ring on the main bag to have a back up just in case those snaps fail. First off let me tell you I was blown away at the quality of this molle pouch. I've bought Tactical gear from many vendors, and for varying prices. This pouch is my favorite by far. Double stitching in all the right places, quality materials, and all for a great value. 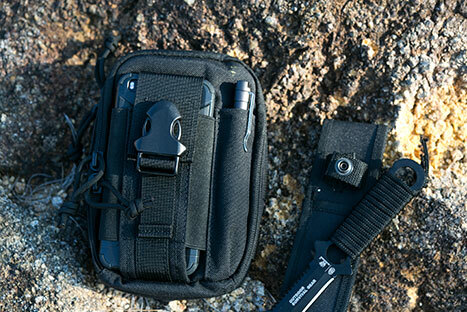 This pouch works best as a part of your larger gear system, but can be used separately also. 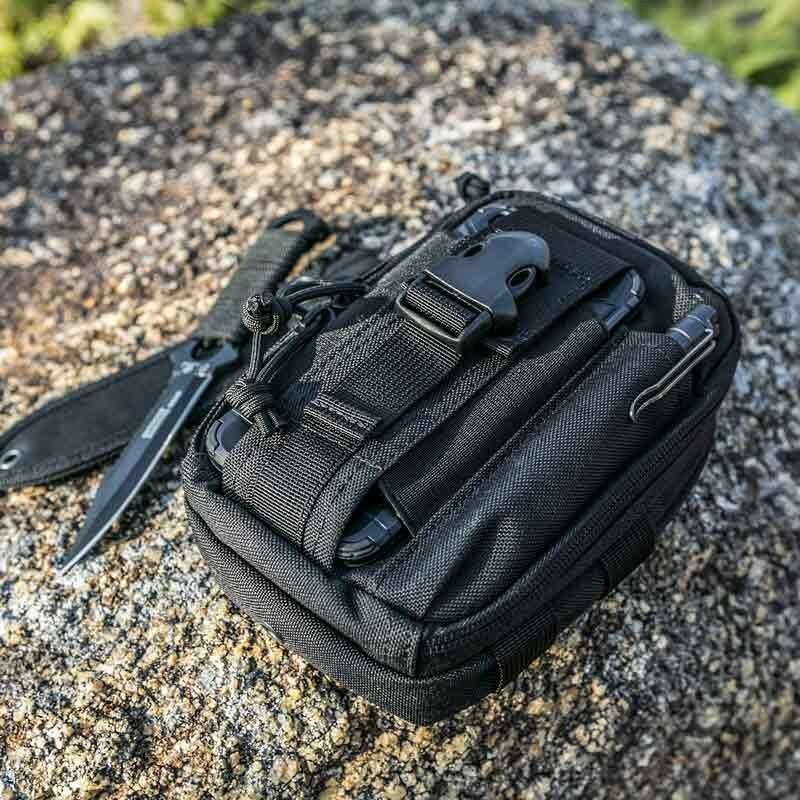 I'm using this as a small EDC kit pouch(first aid, multi-tool,food, and battery pack) Lots of storage area, and very customizable. The front "cellphone" pocket is large enough to hold my galaxy note 4, but I'm currently using it to hold my solar power/charger pack, and the side "pen" pocket is perfect for a slim technician pen led light or your stanley multi-screwdriver. I loved this pouch so much I bought 2. Give it a shot and you won't be disappointed. I've had this pouch for a few weeks and it has performed flawlessly without any problems. Quality construction and materials, affordable price, and good looks make this a great piece of gear for the price. I have several pieces of gear from OneTigris and and constantly please with their products! This is my second one of these pouches and the first one took 18 months of daily opening and closing 10 plus times crawling in dirt, rain, snow, 0 sun, and everything else in between. Even if I need a new one every 18 months I'll get it I really bet this pouch up. 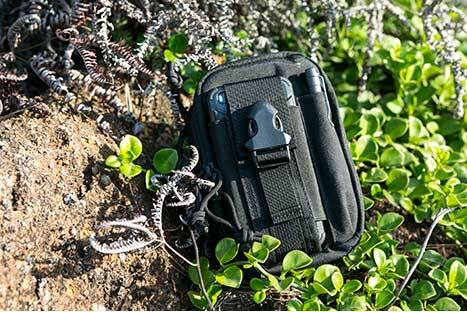 It holds a galaxy note 4 in a otter box defender case on the inner pocket a folding knife and leathermen surge with bits in the middle and a iphone 7 in a defender case on the outside. 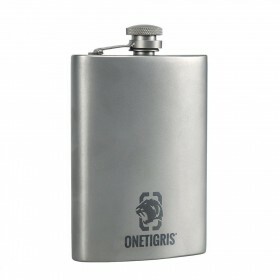 I love OneTigris products. They are all well made, good quality. This is a great EDC to attach also to your backpack. It has 2 compartments and an extra one in the front with a snap on lock for a phone storage, there's a separate pen storage as well. It's quite big, I thought I can carry it around my neck with all my documents, keys, phone when I walk my dog but it's too big for that to be hanging off my neck with a lanyard. 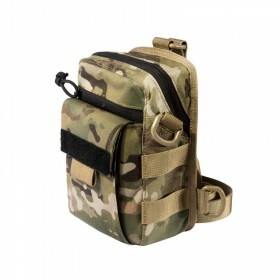 But it's a great attachment to any tactical bag or around your waist with a tactical belt. A must buy. Excellent product to keep all your stuff together. I can easily fit my wallet, keys, phone, and a pen with room to spare for other stuff. I really like the attachment options with the two flaps that snap on the back and the carabiner loop on the top. I can feed my belt through the two flaps or for easy on and off I just clip the carabiner to my belt loop. I replaced the carabiner that comes with it with this one. Nite Ize CSL4-01-R6 Carabiner Slide Lock, Black The carabiner is big enough to feel my belt through it and then I can just clip the pouch on and off as needed. Makes it easy when getting in and out of my truck. The phone holder on the front has elastic on both sides so it stretches to accomodate my iphone with Pelican case and hold it securely. 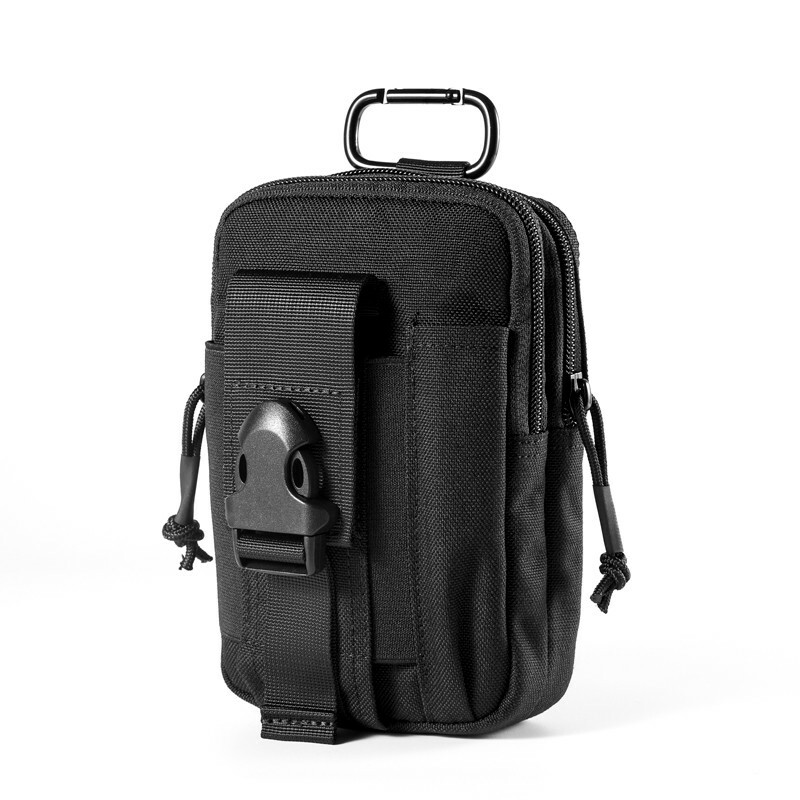 The case is very well constructed and I can see getting years of daily use out of it. I've purchased 4 pouches from 4 different vendors. So far the OneTigris has proven to be the best in quality. The stitching is straight and excellent. No loose threads here. Zippers are strong and the clasp for the front outside pouch is larger. I especially like the larger clasp because it is easy to locate and open and I feel confident that it will outlast the other 3 brands. The interior pockets are nicely padded and are sized perfectly to hold my 5 inch Garmin GPS or Samsung G7. I do keep my phone in the outside pocket with the clasp for easy accessibility. 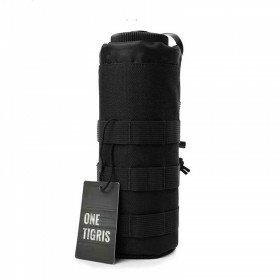 I wish I had purchased the OneTigris pouch first. I would not have looked at any other vendor/brand for this type of pouch. I'm going to preface this by saying that the only reason this is getting a 4 star review is that this is made in china. Other than that, this thing is great. I wear this on my security duty belt assembly and even when I've got items in the pouch I dont really notice it there. The smartphone segment is just what the doctor ordered for me since I stuck an extended battery on my LG G4 making it a lot bigger. It's a snug fit with the elastic, but I can still push it in and pull my phone out no problem. The pen segment carries the typical tactical pen no problem. Slips in amd out fairly easily and doesn't look like it'll rip. The two pockets inside fit a lot of gear. 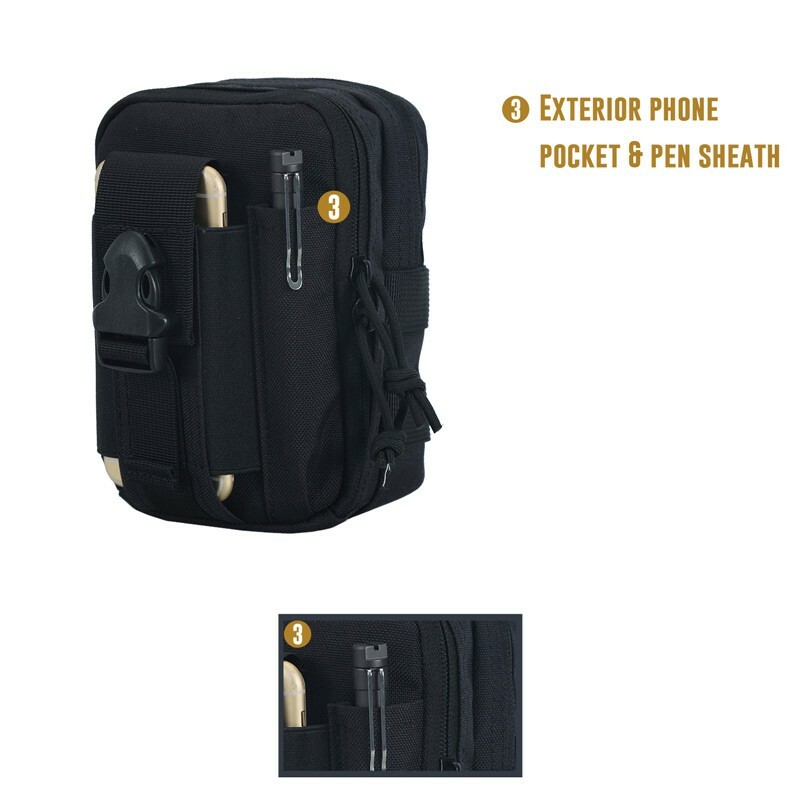 One pocket I carry an extra two sets of bluetooth earphones, a 10000mah power bank and a 3' charging cable in one pocket and the other pocket has 3 sets of rite in the rain notepads and a pack of 6 spare ink recharges for the tactical pen with plenty of room to spare. Overall, love it. 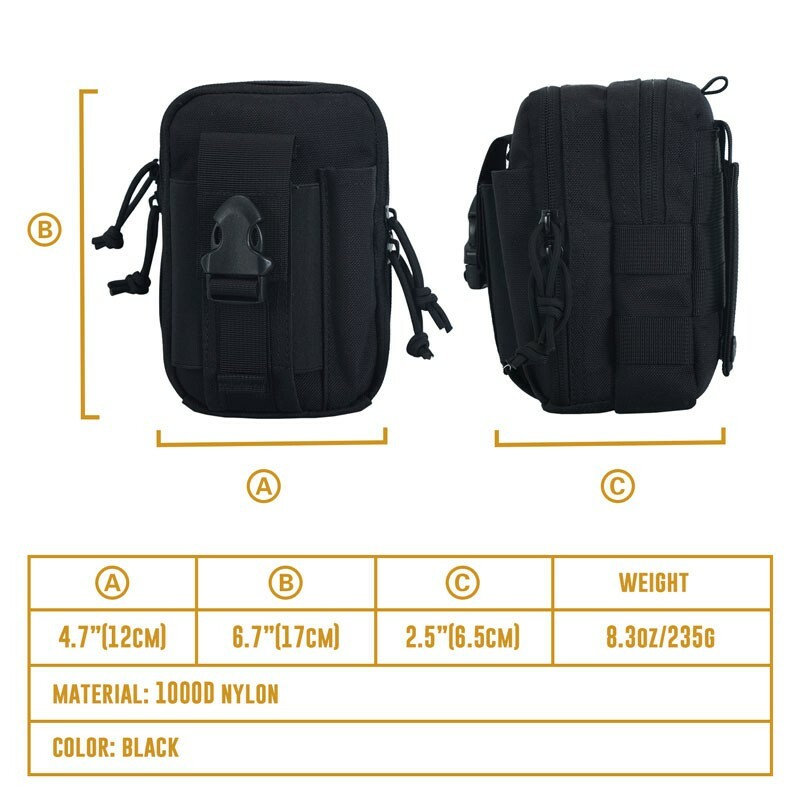 Love the sturdy material, love the price and love the packing space. This would be a 5 star, but I'm a tad bit on the jingoistic side and prefer that I have US made gear. 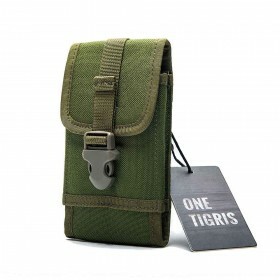 OneTigris makes quality top shelf packs & pouches. They only company I know of that produces the extra large EDC pouch that has the interior organization straps & the wide opening gusset flaps for the front pocket. Quality materials. Quality Design. Quality Craftmanship. I know I sound like an advertisement but I truly can’t say enough great things about the products I’ve purchased from OneTigris...And they stand behind them. This thing is amazing!! Simply love this utility pouch. Holds a good amount of stuff with out any issue. I am able to put a Blackberry in the front pocket with the snap, my vape, juice and a set of 18650 batteries. In the back pocket I have my wallet and a Galaxy S4 phone. I then clip my keys on the hook for same keeping. Now bear in mind that at this point it is a little bulky and can weigh on you belt if you do decide to carry it this way. The only issue that I have, and it seems like some others also have is that I wish it had a belt loop attachment and not just the snaps. Although the snaps are very heavy duty and snap very well. If I had to but another utility pouch this would be at the top of my list. Love this pouch. The material is very durable and the pouch is well stitched. 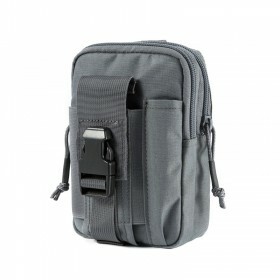 The two compartments are roomy for small items and the phone pouch in the front can accommodate most phones. 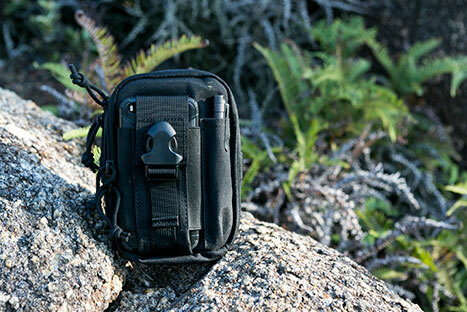 The pouch is designed to go on your belt loop, a tactical bag, or you can use the carabiner to attach it to another bag. It may be a little bulky carrying it on your belt, but it is a solid pouch that I have enjoyed using for my EDC.